The pursuit of purpose is one many struggle with. That’s why there are so many books on the topic, offering to helps folks figure it out. In The Purpose Path, author Nicholas Pearce attempts to help you find your way, but it may lead more to confusion than calling. There’s a difference between finding a job you enjoy and finding your purpose. While it’s possible they may be the same thing, we often have a fulfilling career but still feel it doesn’t fulfill our purpose. The book begins by defining purpose in similar fashion but then takes a turn and gets confusing. In the end, it does a poor job of really nailing down what purpose is and how to achieve it. The assumption is made that your purpose must be a job. The author never entertains the idea that one can have a purpose outside their vocation. Apparently it’s not an option to have a job you love but find your purpose in work outside it. This thing is PACKED with circular logic. Tons of repetition within chapters and from chapter to chapter. The author defines purpose outright but then repeatedly defines purpose in different ways, which leads to confusion about what it means. Stick to one definition and build on it, but don’t change that definition again and again. The entire premise of the book is that we must all find purpose in life but many times Pearce mentions that some must simply do work in order to put food on the table. It seems that only those that can easily provide for themselves and their families can find purpose in life. In another example of confusion-filled claims, there’s talk that even those who are serving billionaires and janitors have found purpose but there’s no explanation of how we know that. Much talk is made about the fact that no one else can know your purpose but you, yet the author apparently has the ability to pick out famous examples and say with certainty that they found theirs. Can you really say someone else found their purpose? How do we know that even someone who made a large impact on society couldn’t have done even greater things, if they’d chosen a different path? The cover includes the fact that Nicholas Pearce is a professor at the Kellogg School of Management, but neglects to mention that he’s also a pastor. In many cases this wouldn’t be an issue, but it is here. The book is very religious throughout, with a lot of talk about God. Some books are able to talk about involvement of religion in your life in a non-denominational way, but it’s very clear that the only God addressed in this book is the Christian one the author follows. Though he indicates it doesn’t have to be the God of Christianity early on, much of the book is completely irrelevant if the information isn’t looked at from the angle of that particular set of religious beliefs. Pearce says religion isn’t a requirement to find your purpose but then goes on to say that unless you have God, you cannot have purpose in life and will not be able to find it. Apparently only Christians can find purpose. There’s a lot of talk about how you must find your own purpose and no one else can do so for you. Then he says only God can show you true purpose and you cannot find it alone. Again, we’re told one thing, only to be contradicted by the next. Numerous statements are made which go directly against others throughout the book. It’s full of constant contradictions. Finding your purpose is confusing for most. That’s why we often turn to books and others to help us find our way. But the advice in The Purpose Path just adds to that confusion, rather than help us better understand. If you’re searching for answers, I’d suggest looking elsewhere. 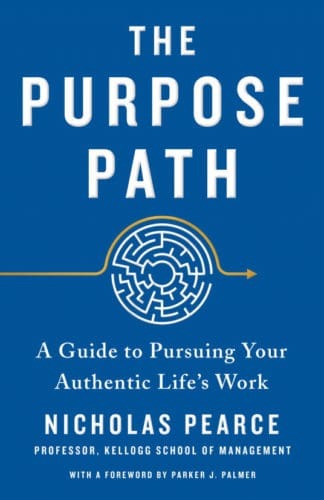 If you still want to explore the route Nicholas Pearce attempts to lead, grab a copy of The Purpose Path: A Guide To Pursuing Your Authentic Life’s Work on Amazon. Just don’t let it make you get even more lost along the way.